Colombians are an entrepreneurial bunch. The streets here are full of people selling food and drink from a variety of different carts, bikes and stalls. There are a whole range of non food based enterprises as well. Some of them are a genuine exchange of goods or services while others are just a little more than begging. The following?are jobs I’ve noticed that only seem to exist in Colombia (and possibly elsewhere in Latin America) but don’t really have a UK equivalent. 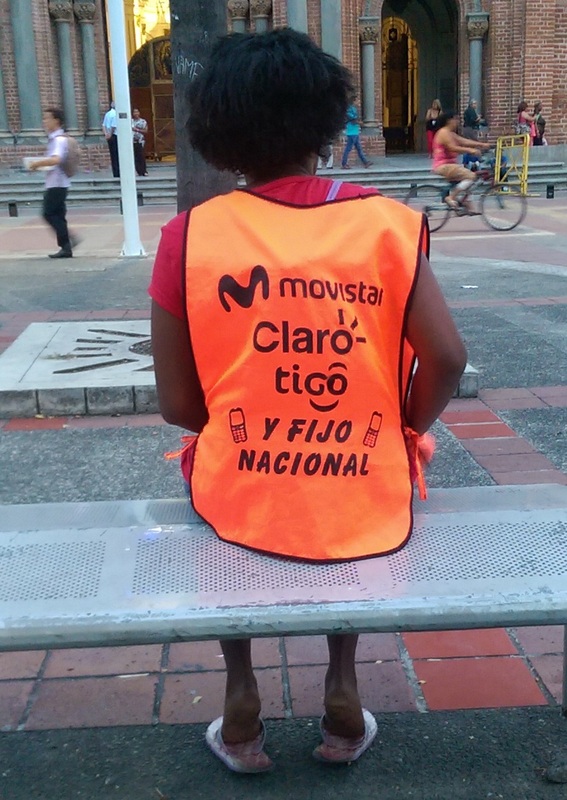 There are three main Colombian telecommunication companies, Claro, Movistar and Tigo, who are are currently battling for the biggest share of the market.